Melville, NY—For those who want to learn firsthand how to capture wildlife in a natural habitat, see the Art Deco cityscapes of Miami from a new perspective or travel through New York City with a photographer’s eye, a Canon Live Learning EOS Destination Workshop may be the answer. Now in its 10th year, EOS Destination Workshops provide attendees the opportunity to shoot side-by-side with Canon Explorers of Light and photography pros. They include Rick Sammon, Adam Jones and Erin Babnick. 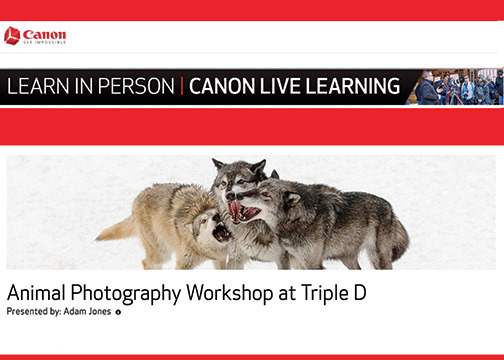 Attendees also will develop their photography skills with hands-on education while shooting with Canon’s latest and gear. Available gear includes recently announced EOS R full-frame mirrorless cameras and RF lenses. In addition, any Canon Live Learning EOS Destination Workshop will help travel-loving readers develop their photography skills in some of the most spectacular locations. Most Destination Workshops are intimate, with 16 students or less. As a result, they provide attendees easy access to instructors and their support staff in a small setting. The multiday workshops are immersive; by the end of the trip, attendees will learn more about camera gear and further developing their photography skills. 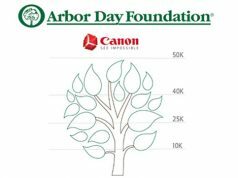 In addition, attendees will have the opportunity to print their favorite image on Canon professional printers. Moreover, fees for the current schedule of 2019 workshops range from $1,599 to $3499. Canon Professional Service (CPS) members are eligible to receive a $100 discount (CPS Gold and Platinum members only). In most cases, lodging, airfare as well as meals are the responsibility of the attendee. The next brand new EOS Destination Workshop is May 2–6, New York City Travel Photography with Rick Sammon. The cost is $3,499. For the complete schedule of EOS Destination Workshops, visit: usa.canon.com/destinationworkshops.